With the Digital VisionSystem and the digital platform camera, MEKRA Lang is bringing the future of indirect vision to Bauma. From 8 to 14 April 2019, we will be presenting the latest generation of digital camera monitor systems in Munich, which enhance ergonomics and safety. 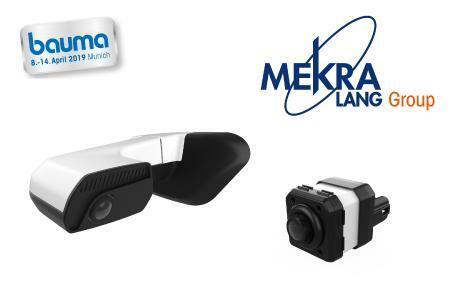 The MEKRA Lang platform camera is based on a high-quality modular system that allows tailor-made solutions to be implemented with just one camera. We determine the required viewing areas for you and then provide you with a legally compliant individual solution adapted to the working environment. Thanks to its extremely robust components, the platform camera is ideally suited for use in harsh environmental conditions in the agricultural and construction machinery sector and – thanks to its powerful, integrated heating system – can also be used without any problems in winter. Each application requires different image processing parameters for the respective vehicle type. 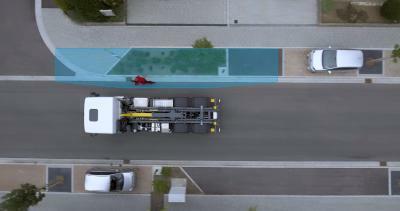 With the platform concept, these can be adapted quickly and cost-efficiently due to the modular design. The individual camera components are very compact so that they can be integrated into and attached to almost any part of a vehicle. Due to the modular design, various analog or digital image sensors, image processing and transmission techniques can be combined individually and cost-effectively. 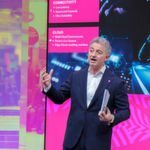 With the Digital VisionSystem (DVS), MEKRA Lang presented in 2018 the future of indirect vision at the IAA: robust, functional and uncluttered. With the DVS, MEKRA Lang contributed its many years of expertise in the realization of unique mirror systems and applied it to the design of the digital mirror of the future. The system developed by MEKRA Lang sets a new standard for visibility in commercial vehicles and replaces the exterior mirrors with camera wings on the vehicle cab. The customized image processing software ensures optimum image display in all driving situations and environmental conditions. The functional safeguarding of the Digital Vision System guarantees the driver reliable functionality through self-monitoring of both hardware and software. The DVS displays the image of the cameras on high-resolution Bosch monitors in the driver's cab 60 times per second and in real time, ensuring a perfect overview in all weather conditions. The monitors are mounted in the cab in such a way that direct vision and thus safety while driving are significantly improved. Depending on the situation, the system adjusts the display on the screens and offers the driver a dynamic view when driving forwards, an optimized view when driving backwards, and a host of other functions that make driving easier. Get to know the future of indirect vision at our booth B5.542. 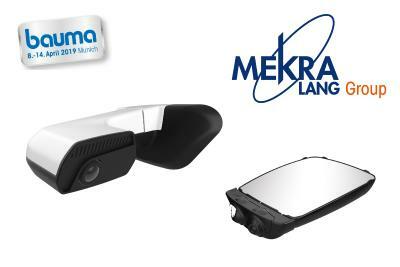 MEKRA Lang GmbH & Co. KG is the leading manufacturer of mirror systems for commercial vehicles as well as specialized camera monitor systems for automotive applications worldwide. As an innovative and recognized expert for indirect vision, we work together with all major commercial vehicle manufacturers to ensure more safety on the roads. At our 21 locations in 13 countries we employ a total workforce of about 2930 with 1480 employees in Ergersheim/ Central Franconia.